A delegation of the Chinese National Center for Open and Distance Education visited the Baden-Wuerttemberg Cooperative State University (Dual University DHBW) in Stuttgart on 28 June 2017. Prof. Harald Stuhler received the group, head of vehicle systems engineering studies at DHBW. 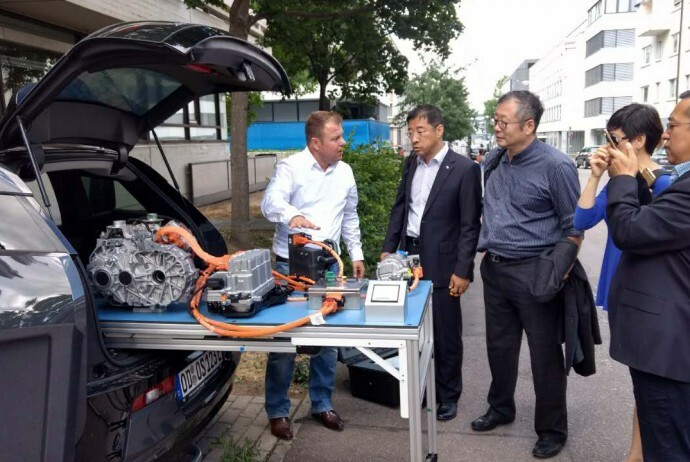 The visit to Germany was organized by the former China Project Director of BMW AG, Klaus-Juergen Brix, who is now advisor of I-Vocedu in Shenzhen. Further participants were Oliver Schindler, CEO of ITW Schindler GmbH, and the former programme director of GIZ in China, Helmut Schoenleber. Baden-Wuerttemberg ranks third among German states, placing it at the 4×3 field of the G8x8 chess board. Its GDP of 476.8 billion € contributed 15.2 percent to the German total.